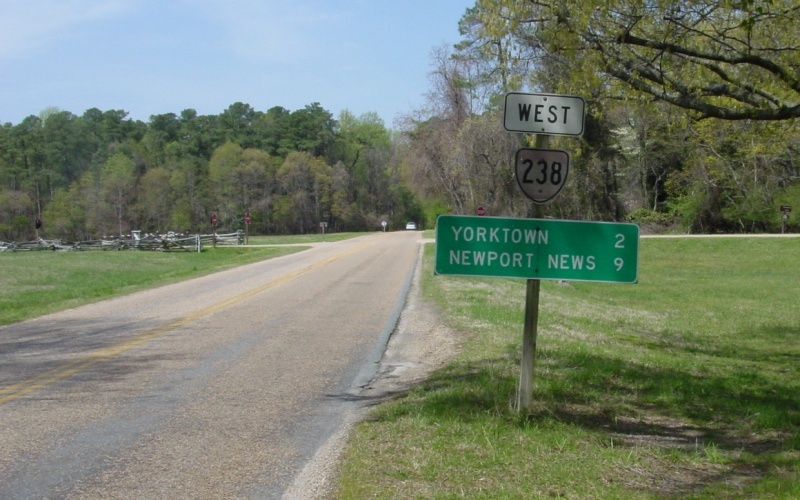 This is the beginning of VA 238 west leaving the Yorktown Coast Guard Station. This was replaced with a full sized shield shortly after this photo. Photo by Adam Froehlig, taken April 6, 2003.